Draft: 2010, Cincinnati Reds, 1st rd. Is married.....wife's name is Heather.....the couple has a daughter, Alaynah, and son, Ryker ... Moved to the U.S. from Cuba at the age of 10 with his mother, stepfather and grandparents ... Graduated from Miami Springs (FL) High School ... Attended the University of Miami, where he was the 2010 ACC Player of the Year as a junior ... Finished second to Bryce Harper for the 2010 Golden Spikes Award ... Is a contributor to the Leukemia and Lymphoma Society ... Is a co-owner of Force3 Pro Gear, makers of equipment used by many Major League catchers ... Enjoys boxing and the UFC.....follow him on Twitter (@YazmanianDVL08). Batted .241 with 24 HR and 68 RBI in 140 games with the National League-champion Dodgers ... Set career highs in games (140), at-bats (440), runs (65), triples (2) and walks (72) ... His 24 HR as a catcher led the Major Leagues ... Batted .252 (84-for-333, 20hr) left-handed and .206 (22-for-107, 4hr) right-handed ... Made 111 starts (110g at C, 1g at 1B) ... The team had a 3.40 ERA when he caught (1037.1ip, 392er) and went 62-48 when he started ... Threw out 16 of 68 runners attempting to steal (23.5%) ... Recorded a career-high 11-game hitting streak from 4/7-4/22 and batted .349 (15-for-43) with 2 HR and 13 RBI during the streak ... Belted his third career grand slam in a 10-3 win on 4/16 at San Diego off Kazuhisa Makita ... Produced 2-homer games on 6/8 vs. Atlanta, 7/24 at Philadelphia and 8/1 vs. Milwaukee ... Smacked his second career walk-off homer on 8/1 vs. Milwaukee with a 2-run shot in the 10th inning off Matt Albers.....was his second homer of the game ... Batted .138 (4-for-29) with 1 HR and 1 RBI in 14 games during the postseason ... Homered in Game 2 of the NLDS vs. Atlanta off An.bal Sanchez (3-0 win) ... Signed as a free agent with Milwaukee on 1/14/19. In his third season with the Dodgers, he set career-best marks in games (129), runs (50), hits (108) and doubles (27), while hitting .247 with 22 homers and 58 RBI...Led National League catchers in home runs and extra-base hits (48), while ranking among senior circuit backstops in slugging percentage (.465, 2nd), runs (49, 3rd), doubles (26, 3rd), walks (39, 3rd), hits (105, 4th), RBI (55, T-4th) and OPS (.7 74, 4th)...Led the Majors with a 3.22 catcher ERA, while also tied for fourth among big league catchers in pickoffs (4) and ranking 10th with a .995 field percentage (6 ER/999.1 IP)....threw out 15 base stealers this season (15-for-59, 25.4%), which tied for seventh most in the National League...Strung together a career-high tying nine-game hitting streak from May 3-15, hitting .457 (16-for-35) with four runs, five doubles, one homer and 10 RBI during that span...Hit two homers on Opening Day, one from each side of the plate, which was the third time in his career he has done so (also: Sept. 2, 2016 vs. COL and June 30, 2012 at COL)...Appeared in four postseason games for the Dodgers, going 0-for-8 with three walks. Set career-best marks in runs (49), hits (89), homers (27), RBI (72) and slugging percentage (.477) in 126 games…led the Dodgers with 64 walks...Topped Major League catchers in home runs…his 27 homers were the fifth most by a Los Angeles catcher behind only Mike Piazza's 1993, 1995, 1996 and 1997 seasons…averaged 411.6 feet per home run, the ninth highest in the Majors according to ESPN's Home Run Tracker... Batted .448 (13-for-29) with four homers and 10 RBI during a career-best nine-game hitting streak from July 29-Aug. 9...Opened the season on the disabled list with right forearm soreness…reinstated on April 12...Homered from both sides of the plate on Sept. 22 vs. Colorado, doing so for the second time in his career, including his second-career grand slam off Boone Logan. Established career highs in hits (5), homers (3) and runs (3, tied mark for the third time) on July 8 vs. San Diego, going 5-for-5 with six RBI...Appeared in all 11 of the Dodgers' postseason games (starting nine), going 3-for-28 (.107) with seven walks, a home run and three RBI. Selected as an NL All-Star in his first season with Los Angeles, batting .234 with a career high 16 home runs and 47 RBI in 115 games. ... Ranked third among NL catchers (primary position) with 16 homers and his .353 on-base percentage placed third. ... Hit .308 (16-for-52) with a .410 on-base percentage against left-handed pitchers…batted .221 (67-for- 303) against right-handers. ... Had a big first half, posting a .282/.401/.526 slashline in 69 games, before battling injury and slumping through the second half (.162/.280/.216 in 46 games). ...Had a career day May 7 at Milwaukee, reaching base in all six plate appearances and either tying or setting careerbest marks with four hits (4-for-4, also: April 8, 2014 at Cleveland), three runs scored, two home runs (third time, last: Sept. 25, 2014 at San Francisco) and eight RBI…the eight RBI were the most ever by a Dodger catcher (previous best: Mike Piazza, 7, Aug. 27, 1995 at PHI) and tied for the second-highest single-game total overall in franchise history. ... All eight of Grandal's RBI came in the sixth inning or later in the game which, according to the Elias Sports Bureau, tied Bill Mueller (7/29/03 BOS at TEX), Mark Whiten (9/7/93, STL at CIN) and Dave Kingman (5/14/78, CHC at LA) for the most in a game's last four innings in the Expansion Era (since 1961). ... Hit the first walk-off home run of his career (second-career walk-off hit) on May 3 against the D-backs, blasting a 13thinning solo shot off Evan Marshall to break a scoreless tie. ... Earned his first-career All-Star selection via manager's selection and was the first Dodger catcher to be recognized as an All-Star since Russell Martin in 2008. ... Appeared in 107 games (100 starts) at catcher and six games (two starts) at first base…threw out 19 of 75 wouldbe basestealers (25.3%). ... Averaged 4.14 pitches per plate appearance, the seventhmost in the NL. ... Missed six games on the concussion DL from May 23-29. ... Saw the first postseason action of his career with three NLDS starts vs. New York, but went just 1-for-10 with a walk and two RBI at the plate. ... Underwent offseason arthroscopic surgery on his left shoulder AC joint on Oct. 21, performed by Dr. Neal ElAttrache in Los Angeles. Played in just 28 games for the Padres in 2013, making 26 starts, all behind the plate...Began the season with a 50-game suspension after violating MLB's Joint Drug Prevention and Treatment Program…reinstated from restricted list on May 28, making his season debut with a start that night in Seattle, going 1-for-4 with a run scored...Over nine games on a rehabilitation assignment with Triple-A Tucson before being reinstated, hit .306 (11-for-36) with three doubles, two RBI and two runs scored...Over 21 games in June, hit .266 (17-for-64) with seven doubles, a home run, nine RBI and 12 runs scored...Appeared at first base on May 31 vs. Toronto, in the Padres 4-3 win in 17 innings, his first ever professional appearance at first (had only played catcher in the minors)...Placed on the 60-day DL on July 7 with a right knee injury, missing the remainder of the season, after sustaining the injury on July 6 at Washington on a collision at home plate…underwent reconstructive surgery on his right ACL (anterior cruciate ligament) in his right knee on August 6. Made his Major League debut for the Padres, hitting .297 (57-for-192) with seven doubles, one triple, eight home runs, 36 RBI and 28 runs scored in 60 games played...split the season between SD and Triple-A Tucson.Began the season with Tucson, hitting .335 (65-for-194) with 18doubles, six home runs, 35 RBI and 40 runs scored in 56 gamesfor Tucson.First recalled from Tucson on 6/1 and made his Major Leaguedebut on 6/2 vs. ARI as a defensive replacement at C, going0-for-1 in his lone plate appearance of that game...optioned backto Tucson the following day on 6/3.Recalled for a second and final time on 6/30, making the start that day at COL...collected his first two Major Leaguehits in the game as home runs from opposite sides of the plate, becoming the first player in Major League historyto homer from both sides of the plate in the same game for his first two career hits (ELIAS).Also on 6/30 at COL, became the second player in Padres history to homer twice in his first Major League start(also, Keith Lockhart on 4/8/94 vs. FLA).Collected his third career hit as a home run on 7/2 at ARI, becoming just the seventh player since 1900 whose firstthree hits were home runs (ELIAS).Collected his first career pinch-hit two games later on 7/4 at ARI, a two-run homer in the eighth inning.His home run on 7/4 at ARI was his fourth in his first six games with the Padres...became just the fourth player since1900 to hit four home runs in his first six Major League games and first since Mike Jacobs did so in 2005 for the Mets.Hit a bases-clearing triple on 7/27 at MIA, the first by a catcher in the Majors in 2012 and first by a Padres catchersince Benito Santiago on 7/19/89 vs. PIT (ELIAS).Started 52 games behind the plate, with the Padres going 31-21 in his starts.Placed on the 15-day DL on 7/31 with a strained oblique...reinstated from the DLon 8/17 after a Minor League rehabstint with Single-A Lake Elsinore.Named the No. 2 prospect in the Padres' organization by Baseball America as well as No. 53 on Baseball America'sTop-100 Prospects list heading into the season.Selected to the World Roster of the 2012 All-Star Futures Game, but did not participate after being called up on 6/30. Moved quickly through the minors, appearing for Single-A Bakersfield, Double-A Carolina and Triple-A Louisville over the course of the season...Entered the 2011 season ranked as the No. 6 prospect in the Reds organization and the 2012 season as the No. 2 prospect in the Padres organization by Baseball America...Combined to hit .305 with 31 doubles, 14 home runs, 68 RBI and 69 runs scored in 105 minor league games...Began the season at Bakersfield and was promoted to Carolina on 6/23...promoted to Louisville on 8/31...Spent time on Carolina's DL from 8/9-15 with a concussion. After he signed his first professional contract on 8/16 was assignedto the Reds' Arizona League club, where he appeared in 8g...while at the University ofMiami was the Atlantic Coast Conference Player of the Year and a semifinalist for theprestigious USA Baseball Golden Spikes Award, the Johnny Bench Award and theDick Howser Trophy...was named by the American Baseball Coaches Association tothe 9-player Rawlings NCAA Division I Gold Glove Team...was a first-team All-America selection by Pro-LineAthletic National Collegiate Baseball Writers Association, Baseball America, Yahoo! Sports and LouisvilleSlugger...in one of the most successful offensive seasons in school history, in 62 apps for the Hurricanes hit.401 with 24 doubles, 1 triple, 15 HR, 60 RBI, a .721 slugging percentage and a .527 on-base percentage...ranked among the ACC leaders in almost every statistical category, and his .994 fielding percentage was oneof the best in the nation at his position... threw out 32 percent of attempted base stealers and committed just3 errors all season, including 1 error over Miami's last 41g. 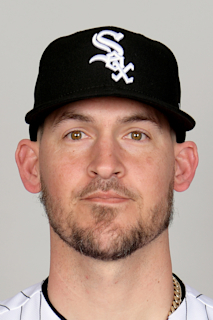 January 14, 2019 Milwaukee Brewers signed free agent C Yasmani Grandal. October 29, 2018 C Yasmani Grandal elected free agency. April 12, 2016 Los Angeles Dodgers activated C Yasmani Grandal from the 15-day disabled list. April 7, 2016 Los Angeles Dodgers sent C Yasmani Grandal on a rehab assignment to Oklahoma City Dodgers. May 30, 2015 Los Angeles Dodgers activated C Yasmani Grandal from the 7-day disabled list. May 26, 2015 Los Angeles Dodgers sent C Yasmani Grandal on a rehab assignment to Oklahoma City Dodgers. October 16, 2014 C Yasmani Grandal assigned to Toros del Este. November 1, 2013 San Diego Padres activated C Yasmani Grandal from the 60-day disabled list. July 7, 2013 San Diego Padres placed C Yasmani Grandal on the 60-day disabled list. Right knee sprain. May 28, 2013 San Diego Padres activated C Yasmani Grandal from the restricted list. May 18, 2013 sent C Yasmani Grandal on a rehab assignment to Tucson Padres. February 24, 2013 Yasmani Grandal assigned to San Diego Padres. February 24, 2013 Yasmani Grandal roster status changed by San Diego Padres. November 7, 2012 San Diego Padres placed C Yasmani Grandal on the restricted list. August 17, 2012 San Diego Padres activated C Yasmani Grandal from the 15-day disabled list. August 15, 2012 sent C Yasmani Grandal on a rehab assignment to Lake Elsinore Storm. July 31, 2012 San Diego Padres placed C Yasmani Grandal on the 15-day disabled list. Strained right oblique. June 30, 2012 San Diego Padres recalled Yasmani Grandal from Tucson Padres. June 3, 2012 San Diego Padres optioned Yasmani Grandal to Tucson Padres. June 1, 2012 San Diego Padres recalled Yasmani Grandal from Tucson Padres. April 26, 2012 Yasmani Grandal roster status changed by Tucson Padres. April 10, 2012 Tucson Padres placed C Yasmani Grandal on the 7-day disabled list. March 28, 2012 San Diego Padres optioned C Yasmani Grandal to Tucson Padres. September 30, 2011 Yasmani Grandal roster status changed by Cincinnati Reds. September 1, 2011 C Yasmani Grandal assigned to Louisville Bats from Carolina Mudcats. August 16, 2011 Yasmani Grandal roster status changed by Carolina Mudcats. August 9, 2011 Carolina Mudcats placed C Yasmani Grandal on the 7-day disabled list. Concussion. June 23, 2011 C Yasmani Grandal assigned to Carolina Mudcats from Bakersfield Blaze. March 30, 2011 Yasmani Grandal assigned to Bakersfield Blaze from Carolina Mudcats. March 14, 2011 Cincinnati Reds optioned Yasmani Grandal to Dayton Dragons. October 13, 2010 Yasmani Grandal roster status changed by Cincinnati Reds. August 17, 2010 C Yasmani Grandal assigned to AZL Reds from Cincinnati Reds. August 16, 2010 Cincinnati Reds signed C Yasmani Grandal.